Regular readers will notice that this is my second apple picture in a row for the 52 Photos Project. Well, yes. Because it’s apple season. And when it’s the season, you must wallow in it. For the past couple of weeks, M and I have been picking apples willy nilly, from the old trees in the river valley, remnants of farms that were abandoned to make room for the dam; from the trees along the side of the road (also reminders of ancient farms), belonging to our kind neighbors who let us to take all the apples we can reach; and from the marvelous heirloom orchard at Poverty Lane Orchards. 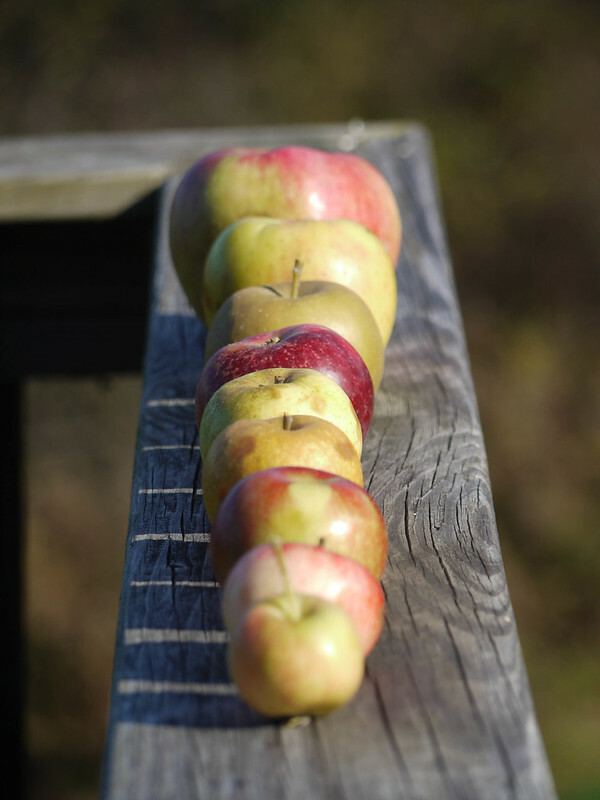 We’ve gathered nigh on nine bushels of apples, from tiny, lumpy, yellow mongrels to the giant blushing Foxwhelps. 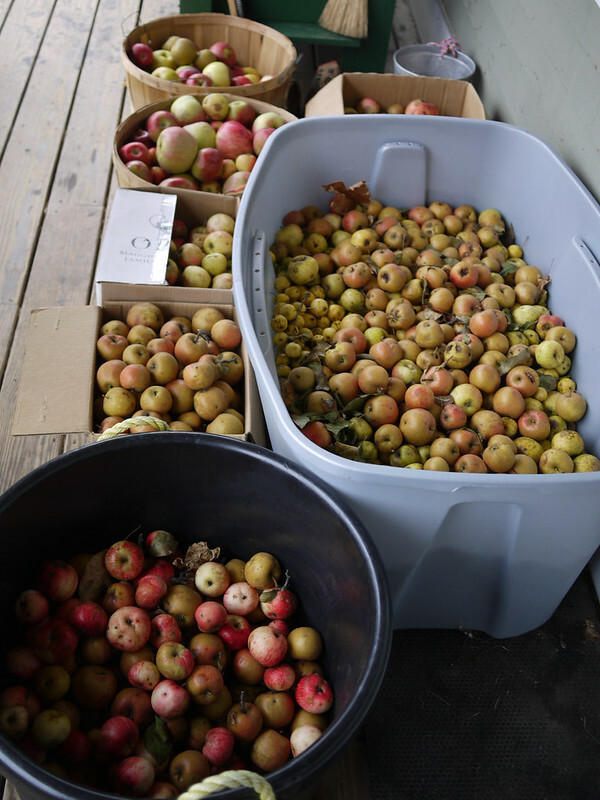 And now, commingled in boxes and totes, they’re sitting (“sweating” in cider terminology), developing their deeper, darker flavors, before we press them for cider. For weeks now, I’ve been thinking about apples. And the abundance of apples. And the shapes and colors of apples. And the overwhelming smell of apples on the porch. I find bits of apple branches in my hair and sweater. There are apple leaves on the floor of the car. We’ve made apple cake, apple pie, and apple turnovers. We’re sitting on an apple-shaped globe, and everywhere we look, there it is: the fruit of myth. And what my mind keeps returning to is the obvious: that there is a season for things. That this is now and not later, and we must gather now, almost in a frenzy, before it’s lost. That this is the window when a thing should happen. It can’t be scheduled for an easier time in the calendar. It can’t be put off for a few weeks. The apples are ready now. Everything that has no season must make way for the thing that does. You can feel a sort of frantic grip on your shoulders: gather and preserve, set all the pots on all the burners, wash all the jars, press all the juice you can from what’s fresh and abundant today. Winter is coming. Another season. The one you want, on a hot summer day, to open with the sharp snap and fizz of a cold soda can. But some seasons aren’t preservable. So we get to work preserving what we can. Taking a moment of October, crushing it, and bottling it, to sip again next summer, when fall feels as distant as spring does now. Before we know it, the snow will fly. The moon will cast its shadow on a snow frosted field. And the apple trees will be dreaming dreams of pink and white flowers budding again in season. 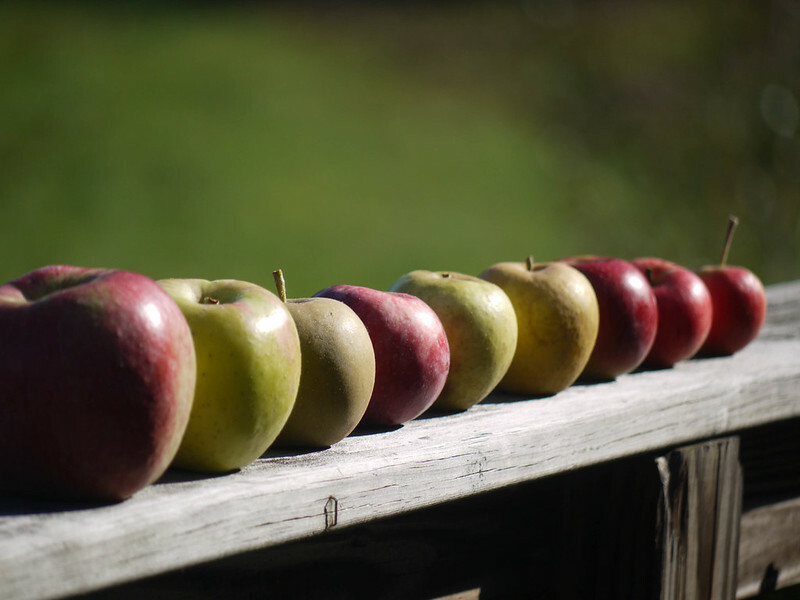 Great stuff R — the apples and your writing. I bow down to you. This is absolutely elegant, stunning, I want all the world to read it. The photos and your words capture perfectly where we are right now. Bless you! Love this. It makes me taste apple in my mouth!